It’s one of the saddest parts of being a music fan – the inevitable day when your favorite group, after years of making great albums and playing memorable live shows, breaks up, citing “creative differences,” “burnout,” or the like. It’s something, as we’ve all seen, that can be for the good of the members. 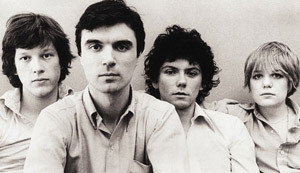 For example, David Byrne has had a long career after leaving The Talking Heads, and Peter Gabriel has enjoyed a solid career after leaving Genesis. At the least he’s made some legendary music videos (one of them is below). But no matter how great the musical output, part of us still wishes these groups, and more, would have reunited – much like how the The Eagles returned after a 14-year hiatus in 1994 to the delight of fans around the world. This summer brings more than a few notable reunion tours. Recently Brian Wilson reunited with one of America’s favorite rock groups, The Beach Boys. The “Pet Sounds” writing group has been busy as of late, recording a full-length album “That’s Why God Made the Radio,” playing New Orleans Jazz Fest, the Grammy’s, Bonnaroo, and embarking a massive tour. The Mavericks – with Raul Malo, Robert Reynolds, Paul Deakin, Eddie Perez and Jerry Dale McFadden – are on a roll after getting back together and recording a new album “Born to be Blue.“ The group stops by our stage on August 5. Lonestar – the group that hit the charts with “What About Now,” “I’m Already There,” “My Front Porch Looking In,” “Mr. Mom,” and many others – is another legendary country group who’s 20th Anniversary reunion tour, featuring original lead singer Richie McDonald, makes a stop in central PA on September 20.